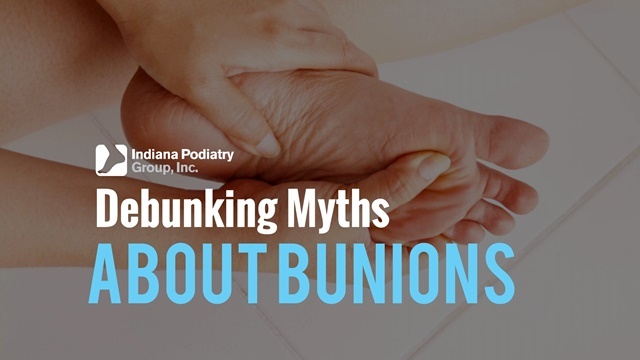 This month we will be discussing the myths of bunions. Most of my patients believe that the main reason for bunions is poor shoe choices. It is true that wearing poor fitting shoes or high heels can damage the foot and perpetuate deformities of the foot. At the same time, genetic predisposition of bunions has a huge impact. This being said, if your parents suffer from large painful bunions, you may have a high chance of getting them. My advice is to wear good supportive shoes and limit the amount of fancy painful dress shoes, especially if your parents suffer from bunions. Can we prevent the formation of bunions or the worsening of them? Yes, by wearing accommodating shoes and inserts. Inserts/orthotics will hold your arch in place and decrease any abnormal motion in your great toe joint. Can bunions be cured without surgery? The painful symptoms of bunions can be treated conservatively through inserts and possibly injections. The only way to completely fix the bunion is through surgery. The good news is that if all conservative treatments fail, surgical correction of painful bunions has advanced greatly. Through new advanced internal fixation methods, most of my patients are able to walk with a boot the day after surgery. Please keep in mind there are many different types of bunions and they range in severity. Please contact your nearest IPG Podiatrist for a consultation.